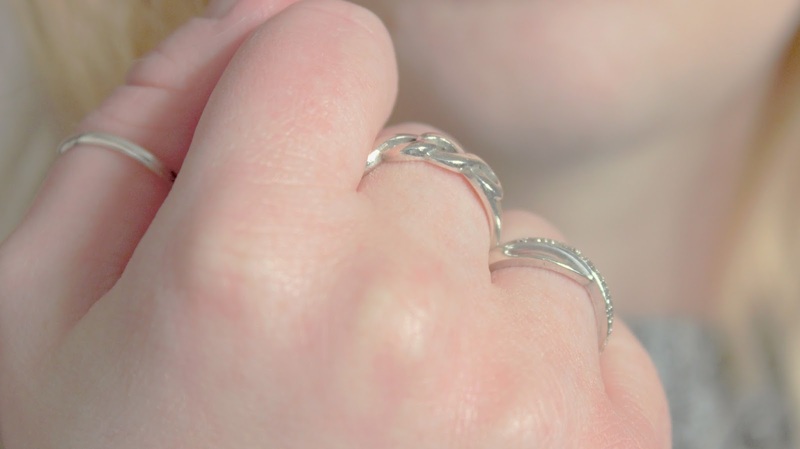 BROGAN NUGENT: DETAILS; MY FAVOURITE JEWELLERY! Hello Humans! Hope you're all well. Today I thought I'd share with you some of my favourite pieces of jewellery that I like to wear on an every day basis. I'll show you a few pictures and tell you where I got them from. From left to right; the thumb ring was from Etsy, that myself and my bff Feebs got as matching jewellery. The middle ring is an infinity ring that my cousin Amy got me for my 21st birthday. And the last one is a ring with small diamonds that my mum got me for my 15th birthday. She wanted to get me something special from just her that I'll keep forever. This one is a BRAND NEW jewellery piece! This is an Anna Saccone Stillness Collection in the sign Pieces. My dad got me it for my birthday this year and I LOVE IT SO MUCH!! Click here to purchase yours! The last two are more personal pieces to me. 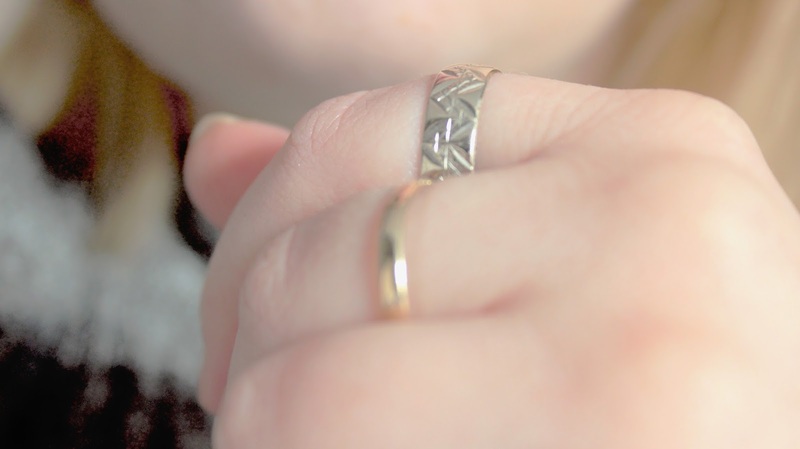 The gold ring is actually my mum's wedding ring. She gave it to me as a keepsake when I was 15/16. And last year I decided to wear it constantly as a reminder of when we were all a family. The silver one was my grandma's wedding ring. (She's been married and divorced twice - lol!) This one was the ring she wore when she married my step-grandad. Quick backstory; I never knew my "real" grandad, so I always called my step-grandad my real one. Sadly he passed away in 2016, and I remembered that my Gran had given me this ring years before. So after he passed, I asked her which married it belonged. 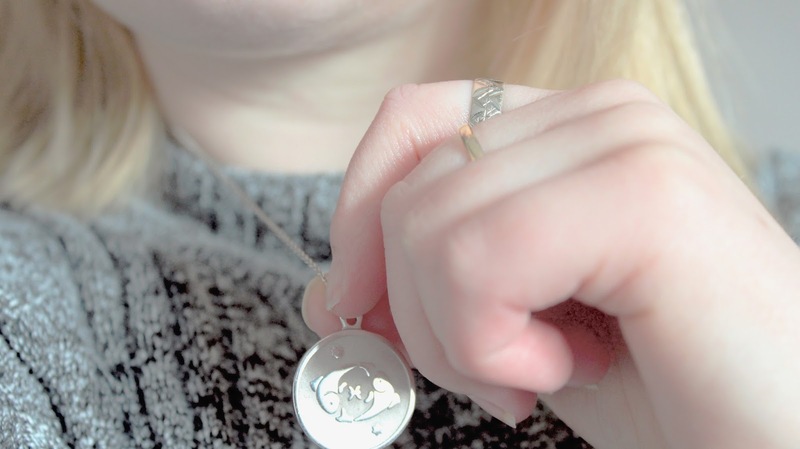 Because it was my step-grandad (aka my grandad duh), I decided to wear it every day in memory of him. And those are a few jewellery pieces that I love wearing on the regular! If you have any faves that you want to share, just pop a comment ⬇️.